Being known as a school safety expert and creating a national mentoring network in low income communities as allow Kids on the Move for Success to develop a mentoring program back into the system district where Antoinette was held hostage by a young man armed with an AK47 and over 500 rounds of ammunition. Our programs have included students, parents, educators, mentors, academic buddies, corporations, community leaders and law enforcement. This allows us to make impactful matches between academic buddies, mentors and mentee(s) in Georgia and Texas. We work closely with parents to assign each child a mentor or academic buddy. Our team evaluates the mentor and academic buddy, the child and the parent or guardian to ensure that the relationship is meaningful, impactful and safe for everyone involved. Kids on the Move for Success establish relationships with their mentee(s) to empower them with the necessary skills for everyday life. Kids on the Move for Success look forward to making a difference in the next generation. We need a wide variety of strengths and skills to help a child in need today, which will change their tomorrow! Learn more about becoming a Mentor or Academic Buddy. Kids on the Move for Success are active on social media! Follow us on Facebook, Twitter, Instagram and LinkedIn @kotmfs, @communitystudentsafeyconversations and @antoinettetuff. Come join Kids on the Move for Success at one of our upcoming events where we are making a difference in the next generation. Kids on the Move for Success realizes the importance of reading and vocabulary in the sTEAM curriculum. Many seniors, community leaders and local business owners have the time and interest to work with young students to improve their reading skills. Teach parents to become influencers in their communities. Educate them to speak out for their children’s safety. Give them the opportunities to increase educational and social resources for their families. What is Knowledge is Powerful in Literacy Program? This is a literacy program that support children from 1st – 5th grade. They will be matched with a volunteer Academic Buddies from the local businesses and communities in Georgia and Texas. We recruit Academic Buddies from a various of backgrounds that have a love for children and want to see them succeed in life. Our mentors come from various businesses in Georgia and Texas. They are mentors in the STEM fields and some are everyday people. Just like YOU. If you have a love for children and want to make a difference in the next generation than we need YOU. How do I receive updates, exclusive insights from Antoinette and special opportunities? 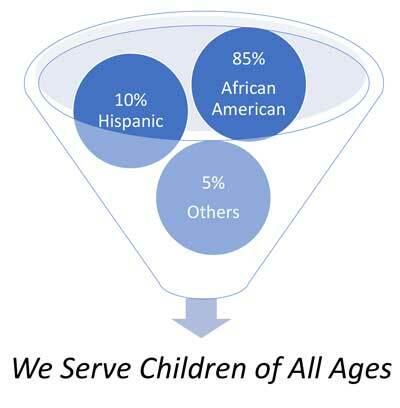 We serve children in the Georgia and Texas areas with our one-on-one mentoring and literacy programs. We are building future leaders and entrepreneur’s. Kids on the Move for Success believes that “If you can help them to develop a vision, you can change their lives”! We strive to develop tomorrow leaders and entrepreneur’s. We are allowing our students to know that they have a voice and it matters.